A complimentary ‘Lady Blue Knight In the House’ bag sign is included with every LBK 2019 registration (*while supplies last*). IN-PERSON registrants can pick up their bag sign on the same day. ONLINE registrants can pick up their bag sign at one of the ONSITE REGISTRATION DAYS OR email lady_blueknights@yahoo.ca to arrange their alternative pick up location and time. 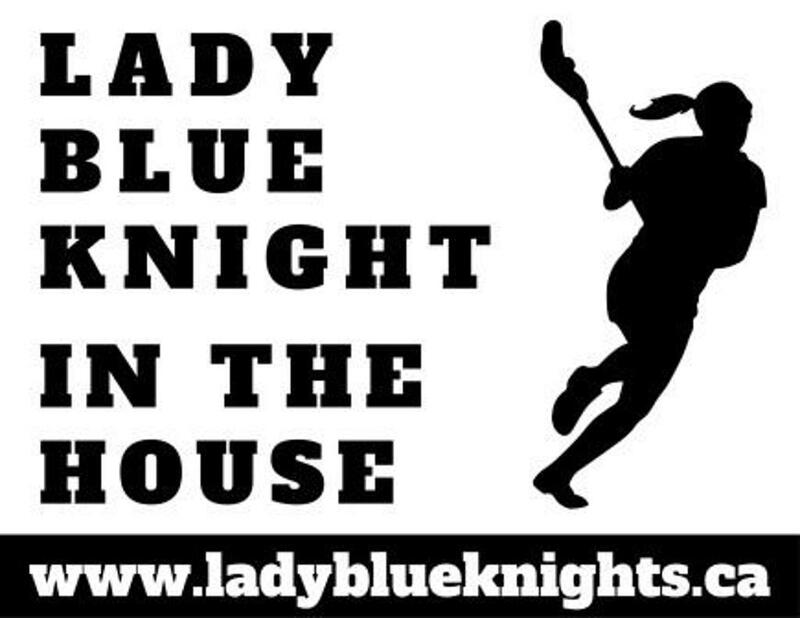 Participants must be 2019 registrants (or legal guardians) of Lady Blue Knights Lacrosse Club. The contest period will run from APRIL 17, 2019 to APRIL 30, 2019 at 11:59 p.m. EST. The winner will be chosen at random and will be announced on May 1, 2019. The winner will be contacted to arrange delivery or pick-up of the gift card. Winners will be ineligible for subsequent 2019 ‘Lady Blue Knight In the House’ gift card giveaway. This giveaway is not sponsored, endorsed, administered, or associated with Instagram. Don’t have your bag sign yet...please email us at lady_blueknights@yahoo.ca to arrange a pick-up location, date, and time.